A perfect theme for your Riding Club and Equestrian. 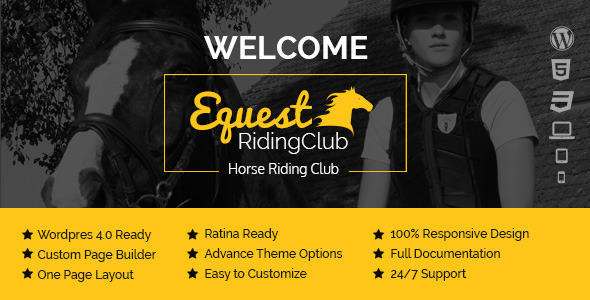 Equest Riding Club is a Premium WordPress Theme for riding stables, equestrian associations, breeding or other websites dedicated to people with a passion for horses. With a clean and stylish design, that you can easily customize, the Equest theme brings the distinguished look suited for such a noble activity.